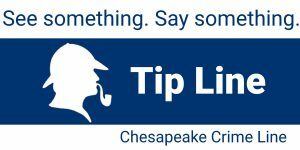 Due to the mandatory evacuation ordered by the Governor in anticipation of Hurricane Florence, Chesapeake Public Schools was closed on September 11, 12, 13, and 14, 2018. 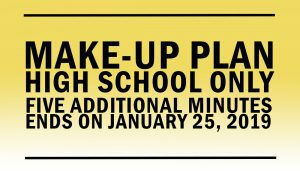 The five additional minutes that were added to the high school instructional day beginning Monday, September 24, 2018, will end on Friday, January 25, 2019. Click here to see the revised high school closing times.